Independent and self-released artist W’s new EP ‘I Don’t Want To Set The World On Fire’ offers an experimental twist with ambient styles. The unknown artist’s latest offering is a 4-track EP featuring some very distinctive styles that certainly display some very creative and experimental ideals. There’s not the greatest deal that can be said about the artist, whose bandcamp page is almost the only hint at this music’s existence. On top of that, the bandcamp page is also incredibly hard to find, making the EP-release feel almost like a secretive thing that is personal to this mysterious W.
Musically, the EP weaves together ambient styles with electronic treatments and experimental ideas. It is not a typical ambient record, as there are many nuances that aren’t so common with the norm of ambient styles. On the EP, there are electronic styles that dominant a few of the tracks, including an essence of the music stopping and starting. Even with this unusual style, it adds to the stylistic flair of the EP itself and helps to give it its character. There’s some interesting ideas being deployed on this release, which certainly seems to show a lot of talent from the unknown artist. As well as interesting ideas, there is also an incredibly bizarre yet interesting cover of The Beatles’s Tomorrow Never Knows. The track builds up a sonic soundscape, where the vocals seamlessly intertwine into the layers and become a bizarre mixture of sounds. There’s a lot of interesting ideas on this EP. It isn’t the best thing in it’s field, but it shows a lot of creativity. It is essentially an experimental record that experiments on the idea of what ambient music can sound like. It may not be an incredibly impressive release, but it is simply interesting, and certainly displays creative ideas that would certainly be interesting to see develop. Hidden amongst the layers of, at times, confusing sounds, is a creative force driving the music along. It’s hard to say though who this type of music would appeal too. It is hard music to really categorize, and perhaps it is only people who enjoy something that is ultimately different who would find the appeal in a release like this. Overall though, ‘I Don’t Want To Set The World On Fire’ is an incredibly interesting, if at times, bizarre and confusing release. It may at times sound just a little bit gimmicky, but for the most part, it displays some very interesting creative ideas that I’d be interested in seeing be developed over time. However, considering the secrecy of W, it is unknown whether or not there will ever be any new material from him (or her, or they). It’s a shame, as music that is as experimental and creative as this is to simply put it, exciting, and I for one would always be interested in seeing what will come next. I Don’t Want To Set The World On Fire is out 26th April 2013, and can be found on W’s bandcamp page at: http://wwvvww.bandcamp.com/ where the album can be listened to for free, and downloaded for whatever price is deemed fit. Little Boot’s stunning second album ‘Noctures’ follows up from her 2009 release ‘Hands’. Working under the moniker of Little Boots, musician Victoria Heskerth made a name for herself with her quirky and energetic electronic pop-music. On her latest album, Heskerth shifts what could be described as her normal sound, and divulges in a much more disco-orientated album. There’s a lot of creativity present on the album, and Heskerth seems to have made an album that is an evolution of he previous work. The result on her second album ‘Nocturnes’ is an incredibly impressive effort, that in this day and age of popular electronic music, seems to demonstrate much more versatility and creativity than what is normally heard. On ‘Nocturnes’, Heskerth seems to indulge in her own style, producing to an extent, a much more darker but equally as enjoyable sound than what was on he previous record. There’s much more electronic treatments on this record, with tracks building up in intensity as more and more layers are added into the mix. The result is usually a rather exciting track, where the many layers each stand out in their own rights, all forming essential layers to the songs. Amongst the electronics are various instruments as well, showing that Heskerth at the very least, understands that electronic layers aren’t always everything. On top of the many layers built up are Heskerth’s vocals, which come in varying intensities in the different songs. At times, it can sound very dark, but there is a dance-element right at the core of the songs. There is something within many of the tracks that simply pumps the blood and gets everything moving, which seems to be exactly what Heskerth is aiming for. She has certainly manged it well, and has easily produced what is her most exciting and fun record yet. ‘Nocturnes’ is simply a great record. It is perhaps a little flawed by the fact that a few of the tracks seem to drag on just a little bit. However, this is barely a problem if it is being played in the right environment It seems these songs were written and produced in this style for the purpose of dancing and clubbing. All the elements are there to make it so, and thus the lengths of the various tracks are therefore unimportant when it is being played in this respective right. The music itself is simply just entertaining and fun to listen too, as well as being creatively interesting. I find within the genre that there are few bands who are actually thinking about how the music will ultimately sound, and in fact, take little pride in their song-writing abilities. Whilst Heskerth may not be the best lyricist in the world (few people are), she is easily a creative song-writer though, and has displayed an enormous amount of talent on this record. We could find that Little Boot’s ‘Nocturnes’ to be a chart-topper in the coming weeks. There is everything here for people to enjoy, but there is also a very creative element that I find is often absent in a lot of chart-performing music. ‘Nocturnes’ is an incredibly fun record to listen too, with a lot of versatility and variety in the various songs. Heskerth’s creativity oozes out of the songs she has written, as well as her passion for the music itself. I’d say that Little Boots is well on its way to becoming an incredibly popular artist this year, and her latest album ‘Nocturnes’ will certainly make a lot of impact. ‘Nocturnes’ is Little Boot’s second album, and is scheduled for release on ‘5th May 2013’. The latest release by Stay Safe is a charming acoustic number, featuring lyrically interesting tracks, some of which have interesting messages hidden behind the lyrics. ‘The Only Constant Is Change’ is a decent sized-EP release, featuring 6 tracks and lasting roughly 23 minutes in length. Stay Safe offer what is a very pleasant listening experience with this EP, with the songs generally sounding gentle and relaxing. There’s a fair amount of talent being displayed by the band, and it is certainly an impressive release. The main attraction to ‘The Only Constant Is Change’ is the presentation of the music by the band. Stay Safe seem opt for an incredibly relaxed experience. It is a typical acoustic album, with there being… well, acoustic guitars of course. It is follows many of the ideals of a normal acoustic album, with there being a varying of strummed acoustic songs, and ones that opt for the plucking of strings instead. It is a common dynamic for most acoustic albums, and it reminds me much of alternative outfit Great Lake Swimmers. There’s many similarities between the two bands, even down to the vocals, but Stay Safe is distinctly it’s own band. There’s a wonderful craft to the songs on the album, with the main appeal being the simple honesty of the album itself. As much as there is to enjoy on Stay Safe’s ‘The Only Constant Is Change’, there is one problematic flaw in that the EP itself is slightly repetitive in that songs seems to be a little to similar in terms of their sound. It’s a shame, as the moments that really work on the album are the ones that show a little more flair. The song’s closing track stands out on the EP, as it seems to just have a little more flair than some of the previous tracks. Even when it goes enters the glorious closer, where the plucking style is replaced by strumming (which is very prominent on the album), it still seems to just work. Other songs seem to be almost the same as each other. There’s still much to enjoy in the songs though, which still display wonderful lyrics and great presentation. I feel that ‘The Only Constant Is Change’ is simply a lovely record. Even with it’s flaws, it is still just a pleasant listening experience, and is easily something that fans of Great Lake Swimmers will probably enjoy. There’s a honesty to the craftsmanship of the album, and it certainly seems to suggest that there will be more great music to come from this band. I know I in particular will be eagerly awaiting the next release by Stay Safe. The alternative self-titled effort ‘Billy Ghost’ is an incredibly short yet interesting experience. Made up of 3 tracks and clocking in at roughly 7 minutes, it is a short length, more suited for a single-release. ‘Billy Ghost’ is a very unknown home-made release. There is little to no-information about the mysterious musician, which sort of makes the moniker Billy Ghost very fitting. Musically, there is something present on this EP. It seems there’s some creative streak running through this incredibly amateur-sounding EP. There is something interesting about it though. With ‘Billy Ghost’ being so incredibly short, there is actually very little to discuss. In essence, it is actually easier to dissect and discuss the three available tracks on this release. The album opens up with Tide Came In, which seems to just open up a very gentle groove. A gentle riff seems to push the song along, accompanied by very lo-fi sounding vocals. Everything seems to work until the track gets to the chorus, where the slightest key change seems to throw everything off. It’s annoying, as the gentle grooves of the verses are so enjoyable, that the chorus of the track seems to pop up uninvited and unwanted. The lo-fi experience of the EP is thrown out the door when the next track Vienna Years begins playing. A rather aggressive start seems to come out of nowhere and to a point it is rather jarring. However, as the song progresses, it seems to somehow become a little bit more comfortable. The EP is then ended by Fire Hair Echo, which is arguably the best track on the album. The track returns more to the norms of lo-fi, and features a clanging guitar that comes in at various points in the song. There is something about this track in particular though that is simply interesting. It’s almost akin to Blur’s early years with their first two records ‘Leisure’ and ‘Modern Life Is Rubbish’. Billy Ghost is pretty much what you’d expect from an amateur outfit There’s nothing that is truly special or amazing, but considering the release of the EP, and its presentation, perhaps it isn’t trying to be anything more than what it is. Musically, it reminds me a lot of the lo-fi styles of Mellowdrone, which itself was created in a bedroom space. Considering the lack of information about Billy Ghost, it is impossible to tell where the album was recorded or why. But perhaps this is what it is all about. Perhaps Billy Ghost is simply a little bit of an album that is just there, because it can be there. It isn’t impressive in any way, and in terms of everything else within the genre, it is certainly under-par. But there’s an element of effort hidden under the flaws riddled in the tracks. There’s elements of someone who is trying to just be creative, and rather than force it down the throats of people, is simply placing it on the internet to be found by whoever happens to stumble upon it. 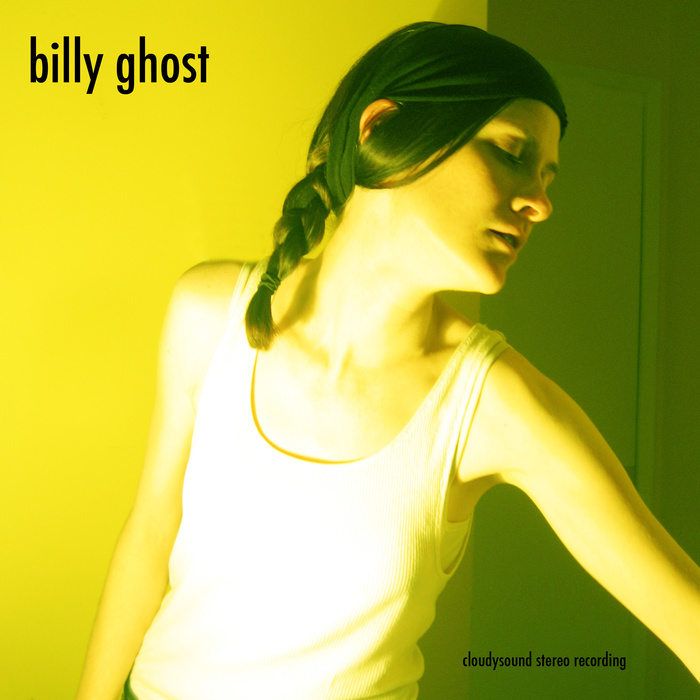 My only true regret about Billy Ghost, and the ‘Billy Ghost EP’ is the fact that it is too short. 7 Minutes is barely enough to really get Billy Ghost. But then again, maybe that is his point. Who knows if we’ll ever hear from Billy Ghost again. Who knows. Saltland, led by Rebecca Foon, formerly of The Silver Mt. Zion Memorial Orchestra and Set Fire To Flames, and featuring Jamie Thompson as well as guest musicians enter the stage with the stunning debut-album ‘I Thought It Was Us But It Was All Of Us’. Saltland’s debut album is the work of many musicians, who help to create beautiful, and at times almost visceral images through the marrying of various instruments and haunting vocals. It seems that Foon has pulled out all the stops with this record, and has presented a record that is truly impressive. It seems under Foon’s direction, she has managed to craft together incredible sounding songs that are in some ways, rather unconventional in consideration of what is often described as ‘normal’. It is, however, ultimately more interesting, and incredibly satisfying to listen too. Fans of the likes of Godspeed You! Black Emperor, Esmerine and many other of Constellation Records’ notable bands will find a lot to enjoy in Saltland’s debut release. The album feels typical of Constellation Records releases in that it is full of surprises that for the most part are pretty unpredictable. Our first introduction to Saltland was the ghostly beauty of ICA, whose haunting violin strings, accompanied by Foon’s vocals seemed to set the stage for the whole album. As it turns out, ‘I Thought It Was Us But It Was All Of Us’ is an incredibly diverse and unpredictable album, with tracks of varying dynamics. It is at first surprising, and it gives an incredibly mysterious element to the whole album, as everything becomes unexpected and anticipated. The many various instruments help paint the bigger picture, which brings up an incredible range of emotions through all the songs. ‘I Thought It Was Us But It Was All Of Us’ is a perfectly crafted record. The album features incredible instrumentals, built up around string instruments, and accompanied by a whole host of other instruments. Most notable is in the second track, the appearance of Colin Stetson and his distinctive saxophone sound. Other tracks include sparse percussion, which helps build up the mystical elements of the album. Everything seems synonymous with each other, as though every element is as vital to the song as each other. Even Foon’s vocals themselves seem to fall in amongst the layers of instrumentals, with the lyrics sounding less like lyrics and more like an instrument of their own. It especially works when Foon herself simply hums gently into the microphone, adding another beautiful layer that works wonderfully with the instrumentals already in place. The whole album exudes an extraordinary amount of creativity, that is only really seen in independent scenes such as Constellation Records. Saltland’s debut record ‘I Thought It Was Us But It Was All Of Us’ is perhaps one of Constellation Records finest releases. The album displays an extraordinary amount of creative force, with everyone coming together to benefit the record itself. It is exactly how music should be written, and it is incredibly refreshing to hear music like this. It is perhaps unconventional of what people usually expect, but in truth, what we have here is music as an art-form, rather than just a mean to make money. Those who enjoy music that is just different, will definitely find much to enjoy in Saltland’s debut release. It is certainly one of the finest records released this year so far. The oddly titled ‘Mind Involved With The Lemon’ EP by Sangam is an interesting, and at times rather thought-provoking record. The EP made up of four somewhat short ambient tracks, seems to explore the very essence of ambient music, and isn’t completely dissimilar to the styles used by innovators such as Brian Eno or a personal favourite, Stars Of The Lid. The result on their EP is a short selection of tracks that greatly show off the talents and creativity of the group. ‘Mind Involved With The Lemon’ is everything an ambient record should be. Sounds are slowly introduced and then built up until a collection of layers form the main track. At times it is very dense, and incredibly ominous in most of the tracks. What’s more is that Sangam haven’t used percussion, and rather let the layers of music have a slight ambiguous quality to them. There seems to be no real direction to the music, which may sound like a criticism, but in actual fact it works incredibly well for the album. There’s an unexpected quality to the music, and with that, it keeps itself interesting. Each track seems to build up it’s own images through the drones created by the music, which I find is the very essence and attraction of ambient music itself. It seems Sangam have opted to go for an incredibly edgy and ominous sound with the music, which gives the EP an incredible character. There’s many strengths to the EP, and it seems that there is a lot of talent to be found in Sangam. It isn’t by any means a perfect ambient record, but it is one that does have many strengths. One may find there not to be so much appeal with Sangam though, as there is an incredibly ominous tone to the tracks, and it is therefore ambient music that may not be so relaxing to listen too. It isn’t really essential for ambient music to be relaxing, and if anything, a darker edge simply means Sangam are exploring different directions than what is normal. I’d generally believe though that most ambient fans have a preference of relaxation of ominous, and that Sangam’s ambient music might therefore not be so appealing. On the flip-side of that though, any fans of ambient music in a more general term may find a lot to enjoy in Sangam’s EP. Overall, there are many strengths to ‘Mind Involved With The Lemon’. Even with it’s peculiar title, there is still a thought-provoking element to the music. Each track seems to build up some form of picture that is most likely unique to each individual listener. The EP certainly showcases a lot of talents to the band, and it seems they’ve drawn influence from some of the great ambient innovators out there, such as Stars Of The Lid (the final track on the EP seems to have been influenced by the band in particular). Overall though, it is simply a shame that there isn’t anything more on the EP, as it is a short album, clocking at just under 15 minutes. Hopefully there’ll be more to come from Sangam in the future. The debut album by singer and song-writer David Mumford, titled ‘Bonfire Music’ is, to simply put it, a beautiful album featuring some brilliantly written songs. Played mostly on acoustic guitars, and accompanied by many other instrumentals, ‘Bonfire Music’ goes from strength to strength as the various tracks each explore different ideas and themes. There’s a lot to enjoy on the album, which doesn’t fall into the trap of simply featuring acoustic guitar, which I find for some artists tends to just become a little boring. David Mumford though seems to have understood the importance of presenting music in an interesting way, and the result is an incredibly impressive album. It’s hard to simply place ‘Bonfire Music’ into a specific musical genre, as it isn’t just an acoustic album. At times, many other instruments, such as bass guitars, electric guitars and pianos, all come into the track to help build up the bigger picture. This isn’t true for every song on the album, which sometimes focus just on Mumford’s acoustic guitar and his vocals. On ‘Bonfire Music’ though, it simply means that these moments on the album don’t become boring or drag on, as they play an important part in making up the variety and vibrancy of the album itself. The songs themselves are well written, with some impressive lyrics telling some great stories. On top of the great instrumentals though, and the lyrics, is the voice that Mumford himself has. The singer’s voice seems to form the main attraction to the music itself, which is usually always in the foreground being the main focus of each song. It works well, as Mumford is able to present his lyrics in a great way that works well with the instrumentals that have been built up for the song. The only problem I find with this album is that it seems to get off to what could be described as a little shaky start. As the album progresses, it displays more and more strengths that easily draws the listener in, but the first few songs seems to just be that little bit weaker than the others. They still display many merits of their own, but it seems that when the middle-portion of the album plays, their strengths seem to overshadow many of the other songs on the album. The overall quality of the album isn’t ruined, as the first few songs do have a lot to offer. It just seems though that it takes just a little while for the album to really get into itself. Overall though, ‘Bonfire Music’ is simply a lovely album that displays some brilliant song-writing. For an album that has spent so long in what I’d describe as writer’s limbo (though David Mumford might disagree there), it seems that finally, everything has come together and resulted in an album that Mumford can be proud of. ‘Bonfire Music’ is a cut above the normal albums found within this genre, and displays some great song-writing. There’s a lot to be enjoyed on the album as well, with the instrumentals being every bit as wonderful as the vocals themselves. It’s simply an impressive album, and one that David Mumford should be proud of. The debut album by dream-pop band Saskatchewan titled ‘Occasion’ features lush instrumentals and sweeping vocals that blend together to create wonderful layers of music. Saskatchewan’s music seems to draw from various influences, and the result sounds almost like what could happen if Hurts played their music more like Brian Eno. The debut album ‘Occasion’ results in an incredible yet downplayed album that sweeps in and around various instrumentals that move the songs along. Combined with the gentle yet interesting instrumentals are very interesting vocals that combine perfectly well with the fairly dense collection of instrumentals. There’s many elements of dream-pop in the music, which are combined with more than just dense electronic layers that keeps the album interesting. ‘Occasion’ is simply an interesting album. The instrumentals in the music combine many different layers, as is normal of the dream-pop genre. However, I’d go as far to say that the album more falls into a dream-rock category if there is even such a thing. In amongst electronic layers and dense bass sounds there are on a few of the tracks other instrumentals that come to the foreground. I find that a lot of dream-pop bands tend to forget that elements like these is what can separate various bands in amongst the genre. As a result, Saskatchewan’s debut album ‘Occasion’ is ultimately more interesting than most albums within the genre. Vocally, the album is also interesting, with at times, the vocals and the lyrics sounding as important as the layers of instrumentals. It isn’t discernible, but it is combined so well with the instrumentals that the vocals and lyrics almost sound like instruments themselves. The main problem I find with ‘Occasion’ though is that whilst there are a lot of great ideas on the album, it seems that there isn’t as much variety as one might wish from a band like Saskatchewan. The whole album flows incredibly well, but many of the songs repeat elements of some of the previous tracks, which at times seems a little boring. At times, there’s some brilliant creative ideas that stand out on the album, but the album itself might just benefit from having more of these creative moments. The album isn’t so repetitive as to ruin the overall quality of the album, but it does mean that a fair few of the songs on the album are just that little bit weaker than others. Overall though, ‘Occasion’ is a very strong debut album from this relatively new band. It seems the band not only understands the genre they work within, but is able to work the genre to suit their own needs as a band. There’s enough on the album for it to work in its own rights, without comparisons to other bands being too much of a problem. There’s some very entertaining tracks on the album, many of which feature some great instrumentals. The whole album showcases many strengths to the band, which is sure to keep people interested in them as a band. All we need now is to see where they will go in the future, and what they will end up doing with their sound. The latest album by ‘And So I Watch You From Afar’ features song after song of sort-of alternative rock music. ‘All Hail Bright Futures’ seems to meld together what could be described as basic and normal ‘indie’ rock aesthetics, with post-rock elements. Their latest album features some lengthy instrumentals sections, which are combined with a rather unconventional style of vocal. It’s incredibly interesting music, and the result of which makes ‘All Hail Bright Futures’ a fairly entertaining album. There’s a well thought-out flow to the album, with the songs working very well in tandem with each other. ‘All Hail Bright Futures’ works on many levels. The music itself is able to draw the listener in, with just basically, interesting sounding instrumentals that seem to navigate the songs on the album. It contains many post-rock elements, and it seems that within that style of music, And So I Watch You From Afar have been able to find their own way of making it sound, which keeps the band interesting and different. The times when there are vocals on the album seem to stand out in a few of the songs, as they don’t seem to be presented in typical verse-chorus-verse style. It almost seems like the vocals (if any) just come in whenever they feel like, with there being little thought to a full structure to the vocals. It works well for the band, and it keeps the album incredibly interesting to listen too. The main problem I see with ‘All Hail Bright Futures’ is that whilst there is some incredible creative ideas going on, it seems that the album just seems a little repetitive as it progresses. It is almost hard to distinguish when one song ends, and another begins, making the album even more unconventional in some ways. It’s a shame, as there are some brilliant instrumental moments that the band have written, but there isn’t enough of them in all of the songs, which makes the overall album just that little bit disappointing, as there is almost a lack of variety in how all the songs sound. It is fortunate that the songs do all work well with each other, and create a nice flow. I can’t help but feel that more variety would just benefit the album greatly. In conclusion though, ‘All Hail Bright Futures’ is a fairly good album. It seems the band have fallen into their own somewhat distinct sounding niche, and whilst there are other bands like them out there, I’d say that And So I Watch You From Afar are a cut above the rest. Despite the flaws it does have, ‘All Hail Bright Futures’ does feature some interesting songs, which feature some great instrumentals drawing from various post-rock elements. What is interesting is how the band is able work in vocals into the genre, without it sounding contrived or silly. There’s many elements to the band that just work, and most of those elements are definitely present on ‘All Hail Bright Futures’. 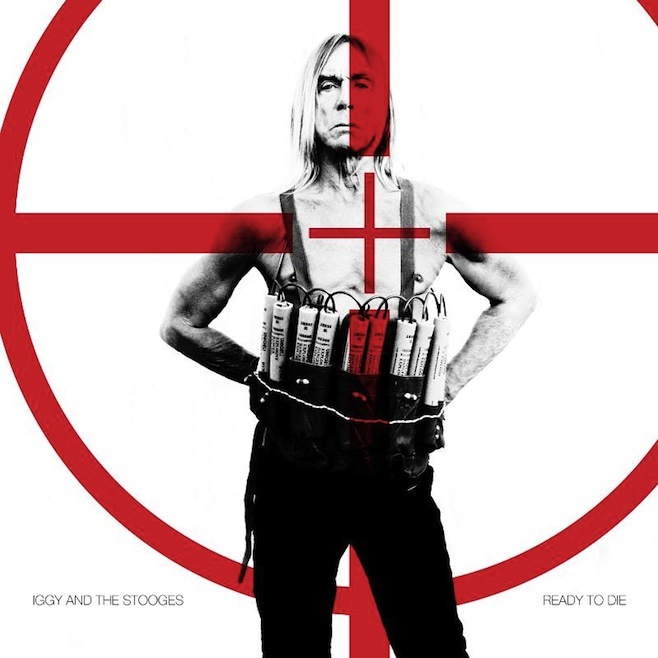 Iggy & the Stooges return once again with their roaring and raucous fifth album ‘Ready To Die’. Their latest offering features what is only to be expected of The Stooges, with the album featuring clanging guitar and bass-lines, accompanied by Iggy Pop’s interesting yet entertaining vocals. It seems that none of the spark that was prominent in The Stooges or even Iggy Pop’s solo work has been lost on this record. ‘Ready To Die’ is seemingly a great record, which should be sure to entertain old fans. It should be said that it is easily not their best record, but even after all this time, it is great to see the band come out with something that sounds as good as this. Iggy Pop & The Stooges’s new album offers a lot that is sure to please fans of The Stooges, and perhaps even fans of the genre. It seems the band hasn’t cashed out on their new album, and have instead simply made an album that is only to be expected of them. ‘Ready To Die’ features track after track, all of which just seem to hit the exact right notes. It feels like everything an Iggy Pop & The Stooges album should be. It’s pleasing to see the band coming out with an album that is as strong as this, without the band losing any integrity. In essence, ‘Ready To Die’ is a Stooges album simple and true, featuring everything that makes up a Stooges album. Musically, the album is great, with tracks featuring some great guitar riffs that push the songs along, which are then accompanied by Iggy Pop’s vocals that help to make the other half of the album. The album also features a good variety of songs, ranging from fast-paced and roaring tracks, to more downbeat and slower songs. The variety helps to keep the whole album interesting, and works well in The Stooge’s favor. Whilst there’s many strengths to ‘Ready To Die’, it does seem though that although it is a great album, it feels like it may not become an album that is well remembered or revered. The songs on the album are good, but they’re nothing that is truly amazing or inspiring. It’s fun to listen to, which is one of the most important things about it really, but it is a shame considering that Iggy Pop himself has been responsible for some truly memorable songs in the past. Considering that it is also the year of David Bowie’s return to music after a decade, whose latest album fits in perfectly as one of his best, it is slightly disappointing that Iggy Pop hasn’t really achieved the same. Overall though, ‘Ready To Die’ is simply a great album. There’s enough in the album to keep things incredibly entertaining, with a few tracks being quite amusing, (lyrically). It seems that Iggy Pop and The Stooges haven’t lost anything that has helped to make them so great, with everything sounding pretty much as good as it has ever done in the past. Considering that this is the band’s fifth album as well, and that they’ve been around since the late 60’s, it’s interesting to see that the band are still sounding as strong as they have ever done.